Law enforcement officers arrested and charged a 20-year-old woman for driving under the influence (DUI) in Lynchburg on Friday, reported NBC affiliate WSLS. This automotive accident occurred at approximately 3 a.m. on September 28th. At that time, the woman was driving near the intersection of Campbell and Georgia avenues. That is when she lost control of her vehicle and veered off of the road. The woman’s vehicle then flipped over after crashing into a telephone pole. As a result of the impact, the telephone pole and several electrical wires fell onto Campbell Avenue. It took the authorities several hours to clear this danger from the roadway. Despite the severity of this accident, no one sustained serious injury. Even the 20-year-old woman was able to walk away unscathed. Though at this point, the woman faces criminal charges for DUI. As the woman awaits her day in court, it feels like an excellent opportunity to review Virginia penalties for DUI. The penalties for DUI appear in Code of Virginia Section 18.2-270. The Virginia penalties for DUI can fluctuate based on the number of offenses and level of blood-alcohol concentration (BAC). Please find below a breakdown of important DUI penalties in Virginia. First Offense — Results in Class 1 misdemeanor The punishment for this misdemeanor includes 12 months in jail and fines ranging from $250 to $2,500. 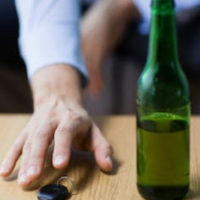 First Offense (high BAC) — If a first-time offender registers a BAC between 0.15 and 0.20, there is a mandatory jail sentence of at least five days. If a first-time offender registers a BAC above 0.20, there is a mandatory jail sentence of at least 10 days. Second Offense (within 10 years) — Results in misdemeanor charges. The punishment for this misdemeanor includes 30 to 365 days in jail and fines ranging from $500 to $2,500. Second Offense (high BAC) — If the offender registers a BAC between 0.15 and 0.20, there is a mandatory jail sentence of at least 10 days. If a first-time offender registers a BAC above 0.20, there is a mandatory jail sentence of at least 10 days and a mandatory minimum fine of $500. Third Offense (within 10 years) — Results in Class 6 felony The punishment for this felony includes 90 days to five years in prison and fines ranging from $1,000 to $2,500. Additionally, special penalties for underage DUI appear in Code of Virginia Section 18.2-266.1. If an underage driver registers a BAC of above 0.02, it is a Class 1 misdemeanor. The standard penalties for this misdemeanor include 12 months of driver’s license suspension and at least $500 in fines or 50 hours of community service. If you need legal help with DUI charges in Virginia, it can be highly valuable to reach out to a skilled criminal defense attorney. The attorneys at Simms Showers LLP have vast experience fighting DUI charges in Virginia. If you need legal help with DUI or other aspects of criminal defense, contact us today for a free initial consultation.